We have come across a problem in the Naples SWFL area that is infesting ficus shrubs. This is called a fig whitefly, they can seriously injure these shrubs by sucking juices from them causing wilting, yellowing, leaf dropping, and even death. We can help eliminate this nuisance pest and restore your landscape with our expert local pest control services. 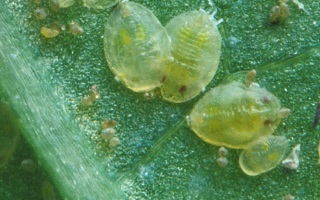 “• Approximately 75 species of Whiteflies in Florida.